Jessica joined The JFM Group LLC in 2007 as a Project Coordinator and rose quickly to Project Manager, and is now the Vice President of JFM. Working closely with Joan Morgan, Founder and President, Jessica is responsible for overseeing the day to day management of all the projects and staff. Over the last 10 years, Jessica, herself, has managed a wide range of fundraising projects which include an annual Gala Casino Night; a Memorial Celebration for a major American artist in three locations, with a simulcast and 2,000-plus guests from around the world; multi-million dollar black-tie galas for a world-renowned medical center, global conservation efforts, and international humanitarian aid organizations, to name just a few. As Vice President, Jessica is able to utilize her leadership and management skills with each member of the JFM team, and their many different personalities and styles, to help achieve the best results for each client. She also has critical impact on every project that comes through JFM’s doors. Jessica also brings her experience, creativity, energy and interpersonal skills to every project through her involvement with all new business proposals, contracts and client decisions from the very first meeting through the end of each contract. 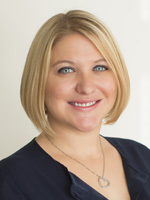 Jessica’s professional career began in marketing and promotions where she managed several national advertising programs for clients including Hewlett-Packard, Uncle Ben’s, HBO, PepsiCo, Sony, and Jeep. She was responsible for several regions in different markets which allowed her the opportunity to travel around the country to assure each program’s success. Jessica has truly found her passion at JFM as she further advances her personal commitment to help grow and support organizations that are meaningful for the world while also leading a strong, positive team where teaching and mentoring is a critical part of the success of everyone at JFM.